The new luxury rental residences at One Hudson Yards at 530 West 30th Street, part of Manhattan’s largest new mixed-use development, have begun leasing for the 30-story building’s 178 apartments which range from one to three bedrooms (and one four-bedroom penthouse) according to a press release from Related Companies. The building’s architecture is by Davis Brody Bond; interiors are by Andre Kikoski, who also designed the building’s peerless collection of luxury amenities. Of particular note are extra-tall windows set into a modern curtain wall façade that offer breathtaking views of out over the Hudson River, the surrounding West Chelsea neighborhood and all of Downtown Manhattan–as well as Heatherwick Studios’ “Vessel” sculpture. 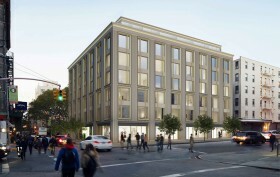 After getting a peek of its entryway facade in March and announcing that rocker/actor Lenny Kravitz will mold its interior residences, we now have our first full look at DHA Capital‘s 35-unit condominium 75 Kenmare Street. 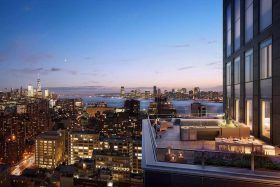 Situated at the corner of Mulberry Street in Nolita, the upcoming seven-story development converts and expands upon a parking garage which DHA, in partnership with AMS Acquisitions and First Atlantic Capital, purchased for $50 million last year. Manhattan-based architect Andre Kikoski designed a sumptuous masonry skin composed of “richly textured and finely scaled” cast-formed concrete, and the apartments are expected to go from $1.7 million to more than $12 million. Last month, 6sqft kicked off a fun new series called A New York Minute, where we ask influential New Yorkers spitfire (and sometimes very random) questions about their life in the big city. Want to nominate yourself or someone you know? Get in touch! When 6sqft last heard from Andre Kikoski, he was itching to fly off to Niseko, Japan with his son for a ski trip; but it looks like the vacation may be on hold. 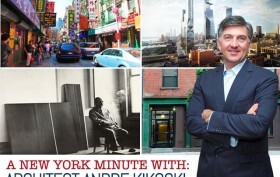 Andre heads his own architecture firm, Andre Kikoski Architect, where they are currently working on a Nolita condo at 75 Kenmare, due to open in 2017. He’s been living in Manhattan since 1995, making his way uptown from the Lower East Side to the Upper East Side. 6sqft shot him a few questions to find out more about his own New York experience. Image: skyline illustration adapted from Linda Eliasen’s “There’s no place like home.” Prints available for purchase here. Who better to ask for unique gift ideas than those with an eye for the amazing? 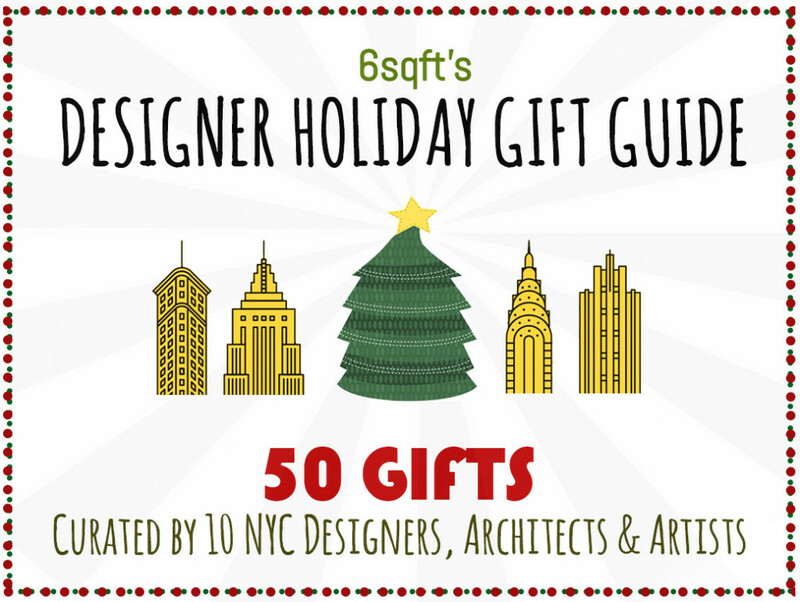 This year, 6sqft asked 10 New York City designers, architects and artists to share five things that they’re gifting this holiday season—as well as what they’d love to get their hands on for themselves! Ahead you’ll find 50 fantastic gift ideas for every budget and for every kind of person on your gift list, from the techie to the design buff to your pal with kids to the hip hop and “Star Wars” nerds in your life. Start checking off your holiday shopping list here!